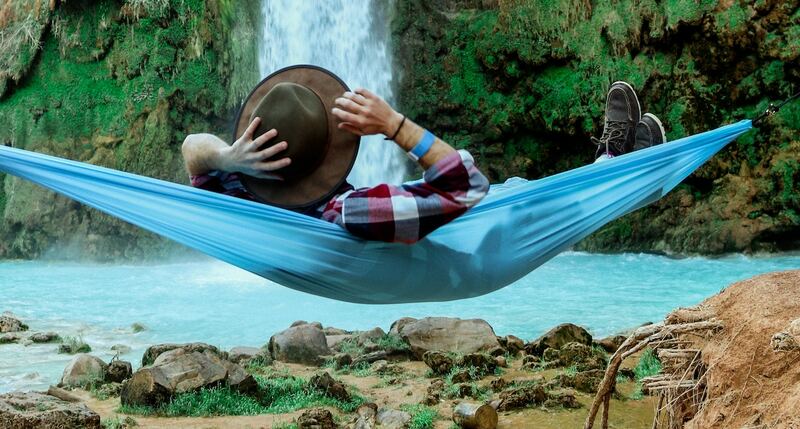 In a world of hustle and more hustle, what are the benefits of taking time off? My friend and fellow online entrepreneur, Bob Lotich, is here to tell us about his experience of taking time off, and the rich harvest it reaps. Bob is someone I’ve known for many years and he recently did something counterintuitive to most of us: he took a year-long sabbatical. For 12 months he didn’t actively work to grow or expand his online business and financial blog. We’ve never sat down and talked about it, until today! He’s here to tell us why sometimes the best thing we can do is rest. Bob and I are both musicians and have worked in ministry at different times in our careers, and we both began our online platforms as bloggers. He started his first blog in 2007 based on his passion for the book of Proverbs and personal finance. Initially, he wanted to work those two topics into one website, and share what he was learning as he got his finances in order. Before Bob was a blogger, he worked in the financial services industry and banking for about 7 years. Bob describes his transition from that world into full-time entrepreneurship as dramatic: in 2008 he was laid off from his job at a brokerage firm. The firm had been bought and the acquiring firm cut some departments, including his. At the time his blog was only generating about $100 a month, but after praying about it he and his wife decided to go all in with the blog. Within 9 months he was earning more from the blog than his previous day job had been paying him. He doesn’t recommend his route, but that’s their story. So how did Bob make the choice to take an entire year off? Over the last six years, he and his family have always taken one month off as a sabbatical. Usually, they go somewhere warm for the month of February. They use that month not to work, but to plan and get direction for the year. Plus they make sure they concentrate on having family time. But in 2016 something changed. That year was incredibly busy and stressful for Bob, his family, and their business. But he didn’t realize he was getting burned out until the end of the year when he woke up and realized he didn’t want to go to work. It was the first time that had happened since starting his online business. At that moment he knew if he kept going down this path he would eventually hate his work. It was about a month until their annual month-long sabbatical so he thought that would fix the feeling so he waited it out. But by the end of that month, he felt no better. All the stress came back, so he opted to take a few more weeks off. But there was still no improvement. Ultimately he felt as though he was meant to take the year off, it was where God was leading him to even though it made no sense to him! Join us to hear the specific events that demonstrated a calling to take a year-long sabbatical, and how it helped him personally and professionally on this episode of The Portfolio Life. When did he realize there was a problem in his business? Why did he retire from his mastermind? What is the religious origin of the word sabbatical, and how did it lead him to take a year off? Why he gave up social media for the year, too. What is the entire reason he started his business? In the beginning you have to say yes to everything to get off the ground. What kind of contact did he maintain with his audience, and how did he do it? Did he tell his audience he was going to do this? What common practice removes the incentive to achieve something? Why did he allow himself to get bored every day? What was his daily schedule like during those 12 months? Once you’ve had a level of success your focus needs to shift to saying no. Does everyone need some time off? What his view is like today versus prior to taking time off. What changes has he made since his time away from his business? What does he want people to learn from his experience? What makes it easier to add the important things? When are you going to schedule your own sabbatical? Let us know in the comments.